Counter surveillance and surveillance detection are your attempt to notice anyone who may be watching you. It is essential because other people may be surveilling you. They may do it for various reasons. Regardless of the reason, all likely to be nefarious. Violent criminals often surveil their victims before an attack. It’s no different than an animal on the prowl, which sheds light on the predatory nature of those crimes. Do not ignore “gut feelings” that tell you to leave a date, meeting, area, etc. It’s nature’s way of telling you something is off. It’s not up to you to prove Mother Nature wrong. No meeting is worth being hurt over. Outsiders stick out in rural areas and areas you may move to in the event of a SHTF situation. First things first, BORE the people who may be watching you. Bored people will not want to continue watching you. People watch you for two reasons. They think you might be up to something interesting or that you will lead them to a gold mine. Therefore, whenever possible make every single day boring to watch. If you do, they will eventually lose interest because there’s a belief that you aren’t worth the time. Surveillance is tedious and boring and requires a lot of discipline, which most opportunist’s lack. Departures and arrivals are the most dangerous points along any route. In other words, your two locations that are most predictable are when you are leaving and where you are going. Vary the times you come and go. By doing so, you will make it hard for anyone trying to watch you. Think about your clothes and vehicle. Don’t wear a suit if you’re going to the country because you will be easy to identify. Likewise, don’t look like a Bass Pro Shop model if you’re meeting someone in a major city. Drive a pre-planned route that closely mimics your daily stop (Home, Coffee, Work, Gym, Groceries, Home) for instance. Doing so allows you time to stop, get out, assess whether any vehicles are falling in behind you. If you see the same person at different times, in various locations that are spread out, assume they’re following you. Use different forms of transportation. Drive a car one day. The next day use a truck. Then jump on a bus. Another day, hop on a bike. Keep anyone watching guessing and off balance. 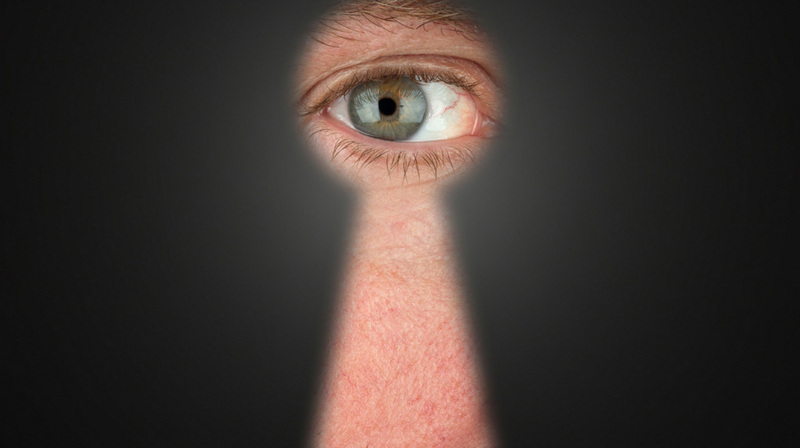 Surveil (watch) the area, person, place or thing before making contact. You never know who, or what is waiting for you. There’s no need to rush into a dangerous situation. When it’s possible, drive in one way and out another. Mix it up! If you feel like someone is following you, whether you’re in a car, or on foot call 911. Proper counter surveillance includes knowing where you are (I’m heading Northbound on I-5, passing exit 67). Know what the car following you is doing and looks like. Be able to describe the person's physical features and actions. Never run red lights like they do in the movies. You are putting yourself and others at risk. Use common sense. Don’t hurt yourself in the process. Execute your plan and since you know your terrain, go to a safe place. That could be a police station, bank, etc. If you have any other thoughts or questions about counter surveillance, please leave a comment below.